Great China welcomes you to its big city to try out your luck in NoLimit City’s slot game Coins of Fortune. 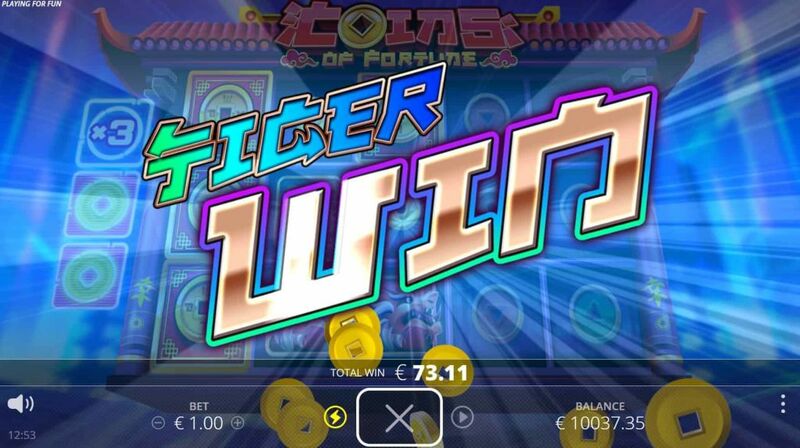 This five reels and 20 pay-line slot has a medium to high volatility and an RTP of 96.48%. The background image, symbols and music of Coins of Fortune all fit perfectly within its theme. 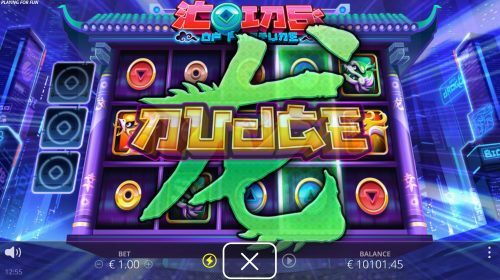 What came very obvious to us in this slot game is the Chinese theme; everything from the architecture of the background image of the reels, to the music, characters and symbols. The higher paying symbols are the dragon, bird, shark and a coy fish. Coloured coins make up the lower paying symbols. The scatter is a Chinese coin of fortune on a red background. These coins were used in the past to tell someone’s future, so we can definitely see the relation between the theme and the symbols here. As for the music, you will find different kind of drums as well as flutes and a sound very representative of a Chinese kind of tune. Sometimes, rain starts falling in the background, perfectly adding to the melody. Whenever a feature is triggered or is close to being triggered, the music becomes more upbeat, perfectly representing the anticipation that follows a special feature. 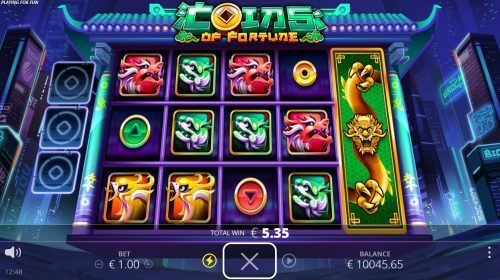 In Coins of Fortune, you will not find your typical free spins special features. Instead, you will find a nudge and a respin feature. Even though there is not much going on in both, if you’re lucky, they can be retriggered over and over. Landing three of the same symbols in one reel triggers the dragon nudge feature. The three symbols transform into one stacked dragon wild and you get respins until no more dragon wilds appear in sight. For every dragon wild that stacks your reel, you get three re-spins. If three more matching symbols across a reel show up, you get an additional dragon nudge feature. If you land three or more scatters anywhere on your reels, you will activate the lucky respins feature. All scatters turn into walking wilds during these respins and they move one step to the left. They keep moving to the left until no more are in sight. For each additional scatter that shows up on your reel, the multiplier increases by one. The thing we liked most about Coins of Fortune is the special features present. 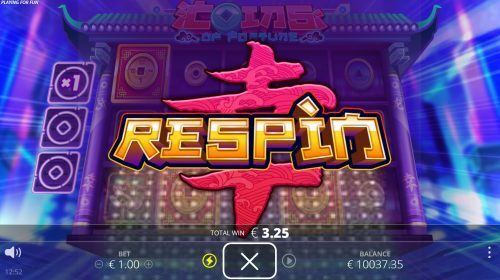 At this point we are used to having scatters activate a free spins round, but when three scatters activated a different respin feature, we were surprised in a good way. We also found that any three identical symbols in a reel triggering the nudging wild feature, will trigger it often; another good thing about this slot game. Despite having triggered the special features often enough, we did not experience them for long enough. The lucky respins did not go beyond 3x for us, and according to the rules of the game, the multiplier keeps going up for every new scatter that shows up. That has big potential right? If you manage to reach a large multiplier on this feature yourselves, maybe you should share a record of it on our forums; it’s definitely something we want to see!